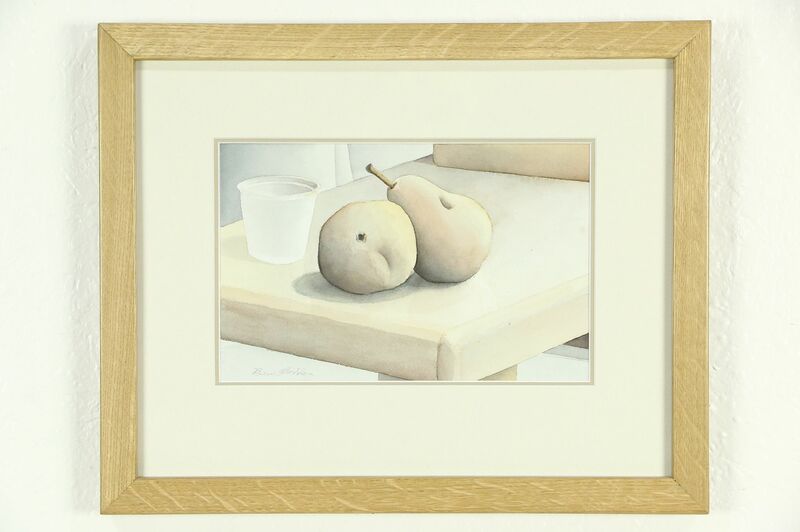 Entitled "Two Pears," an original watercolor painting of a still life is from 1992. Signed by the artist, Bruce Bodden in 1994, the picture is double matted and has a hand crafted quartersawn oak frame with ash corner keys. Overall size is 17" x 14" and 1" deep. Please view 13 photos at full screen size for best detail. Related items in photos are sold separately. Standard Packing and Shipping is $20 in the US.